New mobility services could improve the lives of all urban inhabitants. A new report from the Coalition for Urban Transitions, Connected urban growth: Public-private collaborations for transforming urban mobility, finds that applying three types of new mobility services – electric, on-demand minibuses, subsidized shared rides, and trip-planning and ticketing apps – can make public transport more affordable, accessible and sustainable, if integrated properly. In this context, it seems clear that the arrangements that cities establish between their transit agencies and the providers of new mobility services will be critically important. New mobility services are proliferating to fill gaps in today’s transport networks, such as covering areas that mass transit does not serve. Some of these services also perform functions that existing urban transport systems seldom offer, like picking up and dropping off passengers at locations of their choosing, or providing passengers with real-time information about the fastest or least-expensive ways to get from one place to another. At the same time, the expansion of new mobility services could lead to worsening traffic congestion, more vehicle accidents, added air pollution, and other unwelcome effects, which some cities have attempted to forestall with regulation. The situation that cities face, with respect to new mobility services, is complicated. 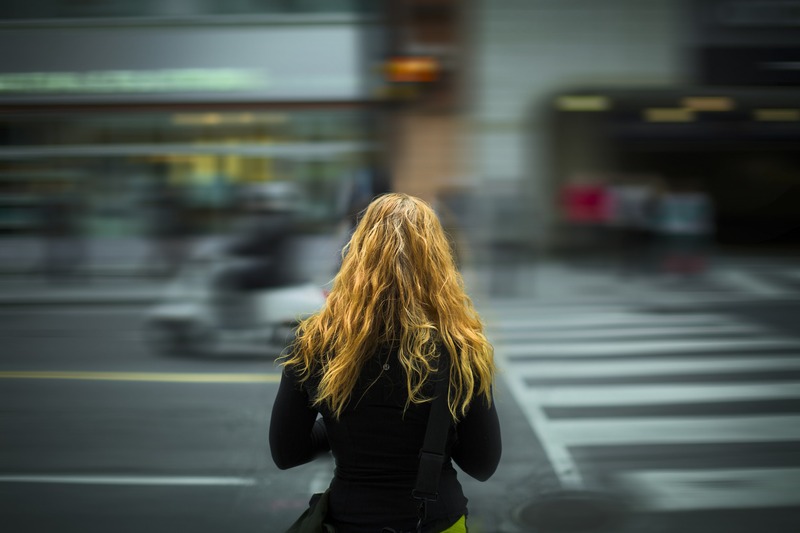 So far there is no obvious formula for how cities can take advantage of, and even increase the benefits of new mobility services, while mitigating the costs that these services can impose on the welfare of urbanites. Nevertheless, cities are experimenting with arrangements between their mass transit agencies and the providers of new mobility services, and some models for such arrangements are taking shape. The Coalition for Urban Transitions has identified 71 cities in which the authorities have arranged partnerships with new mobility service providers. These partnerships are diverse, but several common types stand out (see Figure). One aims to develop consumer-experience services that let passengers easily plan multimodal journeys and purchase the tickets they require. Another common type connects transit agencies with providers of on-demand mobility services: agencies replace bus routes that have the highest fixed costs with on-demand cars or minibuses to give riders greater convenience and flexibility. A third type—first-mile/last-mile applications—uses shared mobility services to provide short trips to and from public-transit stations. In order to help cities and local governments to understand what they can achieve by partnering with new mobility services, the authors have modelled the economic and environmental impacts these three applications could have in three different urban areas. London, Mexico City and San Francisco were chosen as the settings for the coalition’s modelling exercise because they offer a variety of spatial layouts, transit-system characteristics, ridership levels, household-income distributions, and passenger demographics (including smartphone penetration). All of these factors make the results relevant to a range of cities around the world. Dynamic trip-planning and ticketing apps could cut greenhouse gas (GHG) emissions by 500,000 tonnes per year in 2020 across the three cities, as more people use public transportation, with Mexico City benefiting most. Total emissions from transportation across the three cities could be reduced by up to 6%. Replacing fixed-route diesel buses with on-demand electric minibuses could yield improvements as well: in Greater London, GHG and fine-particulate (PM10) emissions could be cut by more than 80% and nitrogen oxide (NOx) emissions by up to 95% per bus route, while San Francisco could see even larger reductions. Deploying ride-sharing services for first- and last-mile trips to and from public transportation stops, which enables more people to use mass transit instead of their cars, could reduce per journey emissions of GHGs and local air pollutants by 55–80%. Finally, the paper outlines several practices that can help cities make good use of new mobility applications to enhance the overall efficiency and experience of urban transportation systems. 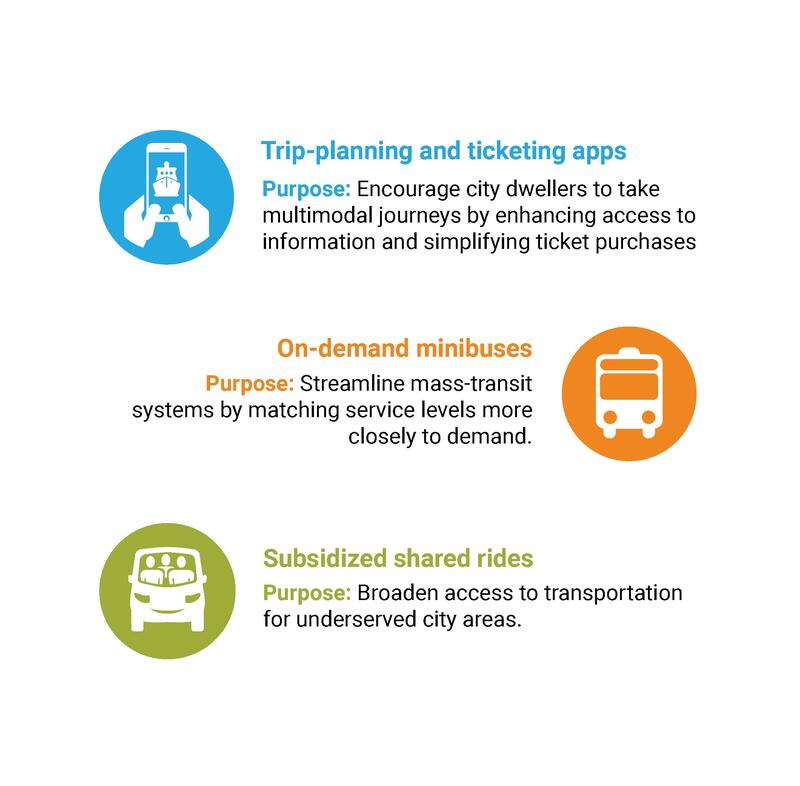 In turn, there are opportunities for the providers of new mobility services to collaborate with public transit agencies and city governments in ways that contribute to more integrated and efficient urban transport systems. None of this will be straightforward, but the effort should be worthwhile. In this sense, SUM Bilbao 2019 emerge like the perfect opportunity for public and private stakeholders to come together, build common understandings and reach agreements and alliances for the future of mobility in our cities. ¿En qué ciudades nos movemos de forma más sostenible?